Vinpocetine is a chemical which is derived from a substance called vincamine. Vicamine is a compound found in the common periwinkle plant, scientifically known as Vinca major. According to Jerry Cott Ph.D., review pharmacologist/toxicologist for the FDA, vinpocetine increases blood flow to selected parts of the brain. Due to the vasodilatory characteristics of vinpocetine, consumption of this botanical extract may have some important health benefits. It should be noted that as of 2010, vinpocetine is considered an alternative treatment and as such, you should consult a physician prior to treating any condition with vinpocetine. Vinpocetine extract has potent anti-inflammatory effects, according to researchers at the University of Rochester, who noted that studies reveal that vinpocetine is effective at reducing lung inflammation. Lung inflammation is commonly treated with steroids; however, vinpocetine treatment provided the same effects without the dangers of the side effects associated with steroid use. This research could provide alternative treatments to such inflammatory disorders such as chronic obstructive pulmonary disease and rheumatoid arthritis. Vinpocetine can improve cerebral blood flow and cognitive function, according to the results of a study published in July 2007 in the Hungarian journal "Ideggyógyászati Szemle." The study was performed in Hungary focusing on patients who have suffered a stroke accompanied with mild cognitive impairment. It concluded that treatment with vinpocetine improved cerebral blood flow and cognitive function in this patient population. 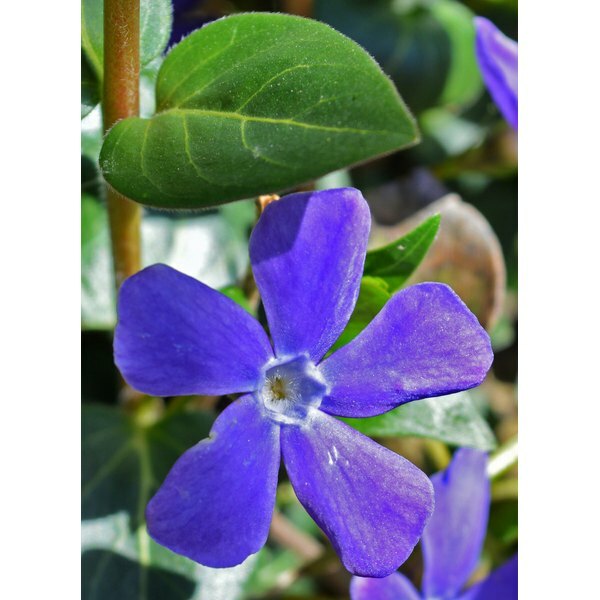 Vinpocetine is an effective treatment against hair loss, according to author, Beth M. Ley in "Vinpocetine: Revitalize Your Brain With Periwinkle Extract." Currently, the desired treatment for hair loss is minoxidyl, which a strong peripheral cerebral vasodilator. According to Drugs.com, there are some serious medical side effects associated with the use of minoxidil such as excessive low blood pressure and chest pain. Vinpocetine, also a cerebral vasodilator, can provide the same prevention against hair loss without the potential of side effects, notes author Ley. Vertigo is defined as the sudden sensation of spinning or whirling that is often accompanied by lightheadedness, loss of balance, sweating, nausea or vomiting. According to the University of Michigan Medical Center, vinpocetine can reduce the symptoms of vertigo due to the vasodilatory characteristic of the extract. Recommeded dosage of vinpocetine for treatment of vertigo is 15 mg per day. Why Is There a Popping Noise in One of My Ears?